As I put my tote bag on the bar at my favorite upscale Indian restaurant on a busy Saturday night, a small cardboard coffin tumbles out. The bartender looks at the coffin, looks at me, looks back at the coffin. 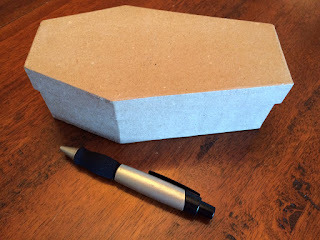 “I went to a solo show and the actor gave out souvenir coffins,” I say brightly. He’s heard it all before – the man’s a bartender. He just nods and asks if I want a drink. I do. But not because I am carrying around a tiny coffin. The show was “Loveland: Good Grief,” presented at The Marsh in San Francisco by Ann Randolph, a gifted writer and fearless performer. Mel Brooks declared Randolph a genius and she has been compared to Gilda Radner. "Loveland," which is hilarious and profound at the same time, is about a woman traveling by plane from California to Ohio after the death of her mother. Randolph portrays half a dozen or more characters. Along the way, she makes the point that sometimes, great beauty comes from loss. Her brilliant example? Erosion carved the Grand Canyon. After the show, I stick around with another 40 people for Randolph’s writing workshop. First, she assures us her own mother is not dead, though the 70-minute piece was crafted from a place of personal loss. Pads and pencils are handed out. Randolph asks us to think about a time of grieving. Then she instructs us to write “What I remember most about this moment,” and see what we have to say after that. I thrive on these sorts of exercises, on talking to paper. How do we know what we think until we ask ourselves? Everyone has a story, a story worth telling. Plus, first sentences are always magical to me. After more than 35 years in the newspaper business and 10 years as a certified writing workshop leader, I still am delighted when the perfect first sentence pops into my mind. Being handed one is a bonus. Choose Me! Choose Me! Choose Me! We write for eight minutes. I am not surprised when I veer away from past memories of grief. And I’m not surprised that my hand goes up as soon as Randolph asks for a volunteer to come on stage and read. The Marsh stage is familiar to me. Last fall I took a course at the theater in solo performance development from Charlie Varon, another gifted playwright and performer. (For classes, see themarsh.org ) After eight weeks of writing and rewriting, we six students were granted time in the spotlight at a public performance. I'd been on other stages before. 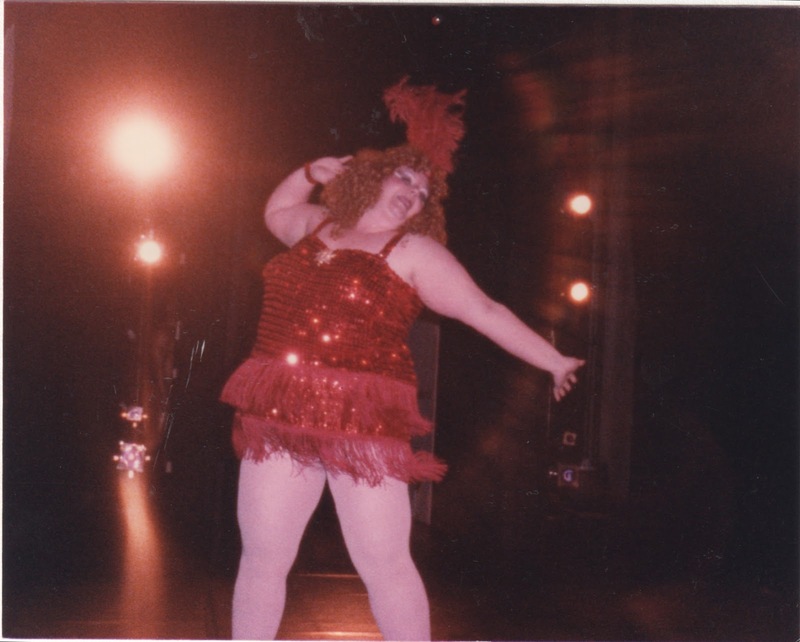 For eight years, I tap danced around the Midwest wearing an abundance of red sequins and a fabulous wig. I’ve also done a great deal of public speaking. But performing my short bit at The Marsh that night last December was exhilarating, and 10 months later, I’m not over the thrill. So I jump up to read. The audience makes soft, empathetic sounds and, when appropriate, they laugh. They are with me every minute. They applaud wildly when I finish reading. That’s why I wanted a drink with my appetizer – to celebrate the rush. What I remember most about this moment is that it is not a memory so much as it is an example of anticipatory grief over something that hasn’t happened. And several dear friends, many pets -- and oh yes, a marriage -- and other smaller losses too. I’ve been told all this is why I experience anticipatory grief, though I have made great strides in turning it around to anticipatory joy. That’s a term I made up, and I am unsure whether it is accepted in psychology circles. I well know the importance of living in the moment, of being here now, of breathing from the belly to fully appreciate this moment over all others. Still, sometimes out of nowhere – or OK, probably somewhere – comes this deep shuddering sense of foreboding when I try to come to grips with the realization that I have less time ahead of me than behind me, and that the day will come when I will have to say goodbye to a three-year-old boy. Wait! Hold on a minute! He is three right now, and that day has not arrived. Maybe I will live to see him through high school, or maybe longer. 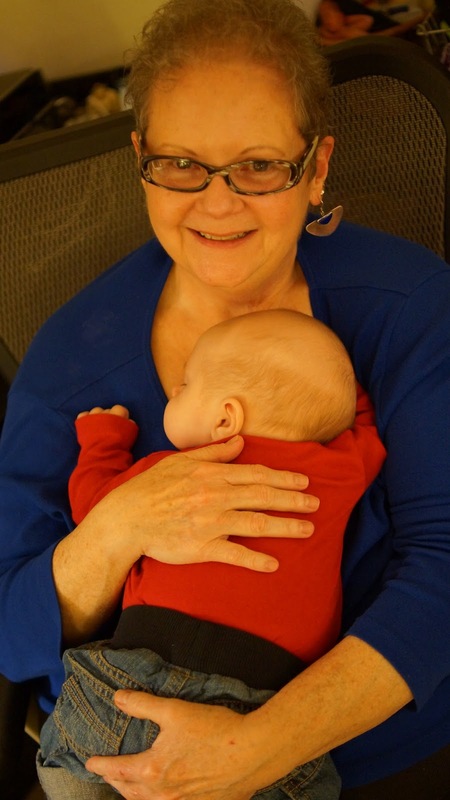 But no matter how long we are together I must help him know while I am here that he is a miracle in my life, a miracle my mother never got to experience, a special treasure I want to inhale and absorb fully -- my grandson.